“The meeting discussed, among other things, the measures taken by the two countries to increase bilateral cooperation. Saudi Arabia sees common ground with Indonesia on several issues,” Indonesian Foreign Affairs Minister Retno Marsudi said after the meeting. 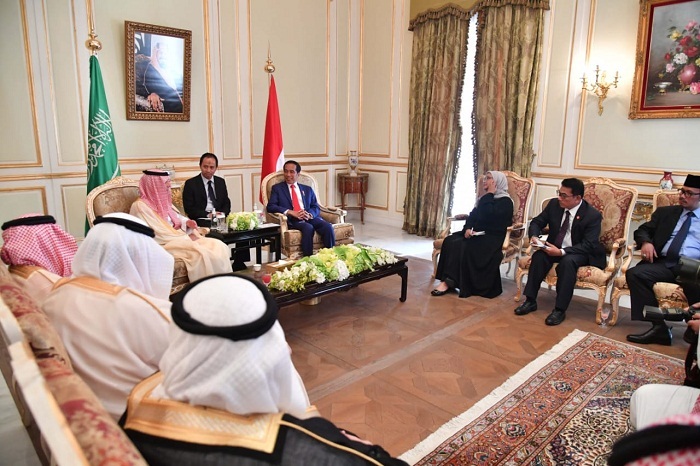 Retno added that during the meeting, President Jokowi and Minister Al Jubeir also discussed cooperation on spreading peaceful and tolerant Islam, counter-terrorism and increasing support for Palestine. “We know that Saudi Arabia and Indonesia have obligation to improve cooperation in supporting the Palestinian cause,” Retno said.